Do you want to remove red eyes effects from your photos ? If yes, this article will help you find the best photo apps to remove red eyes effects. In this article, we've listed some great apps which are very useful for this purpose and contain lots of features. Check out these useful red eye removal apps on your iPhone or iPad. 1. Facetune ( Only for #iPhone ) - Facetune is a featured rich photo retouching app for iPhone users that is integrated with lots of features and helps you make your photos more stylish and attractive. If you have photos with red eye or white eye effects, you can easily remove red eyes effects by using this amazing app. 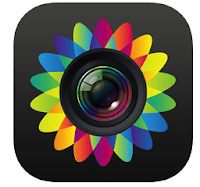 The app also helps you beautify your skin and face in your photographs. With the help of this app, you can make your smiling perfect, whiten your teeth, remove blemishes, make stylish your hairs and retouch your photos. Great app to remove red eyes from your photographs. 2. Photo wonder ( Only for iPhone ) - One of the best red eye removal apps on the Appstore and it helps you remove completely red eye effects from your eyes. This app comes with face recognition feature that locates your eyes' position automatically. This app allows you to fix red eye error easily with the help of red eye removal tool. 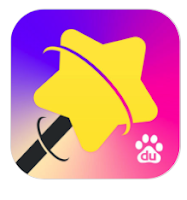 Basically it is a featured rich photo editing app that contains tons of editing features including collage maker, camera filters, beauty tools and photo retouching tools. 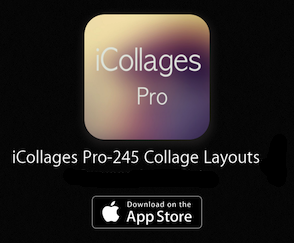 If you want a fully functional photo editing app for free, try this awesome app on your iPhone and complete your editing tasks easily. 3. Photo Editor ( For iPhone & iPad ) - If you are looking for all in one photo editing app for free, you can use this great image editor that also helps you remove red eyes effects from your photos. The app comes with lots of features such as funny stickers, image editing options, skin beautifying feature, red eyes removal feature, photo enhancement tools, stylish image effects and many other useful features. You can download this app free of cost from the Apple Appstore. 4. 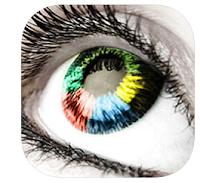 Magic Color Eye Effect ( For iPhone & iPad ) - Best photo app for eye effects including red eyes remover & corrector option. With the help of Magic Color Eye Effect, you can easily beautify and make stylish your eyes. The app comes with various eye effects and lets you apply them to your photographs. You can also remove red eye effects from your photographs. The app contains many interesting features such as eye color changer tool, multiple magical color contact lenses for your eyes, red eye removal option that can also fix white eye effects, more than 300 beautiful pupil templates and more . 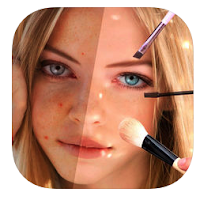 Magic eye color app comes with a powerful makeup tool which lets you beautify your face and retouch your photographs like professionals. If you want to make your photos more attractive, you can try this app to look like a celebrity in your photo. 5. 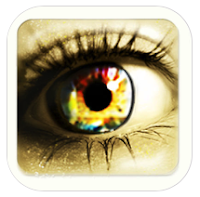 Eye Colorizer Free ( Only For iPhone ) - Great free app for realistic eye effects. If you want to make your eyes more beautiful and attractive, you can use this awesome app on your iPhone to change your eye effects. The app comes with more than 107 pre made eye effects, eye designer tool to create new eye effects, tool for removing red eyes, color tool for your eyes, photo effects and many other features. 6. Visage Lab ( For iPhone & iPad ) - Visage Lab is a full featured image retouching app for iPhone and iPad users that retouches your photos automatically. The app detects issues of your face and fix them automatically within just few seconds. With the help of this app, you can easily remove eyes from your photos and make your photos more beautiful. Visage Lab also helps you remove blemishes & dark circle effects, whiten your teeth and enhance color of your photos. 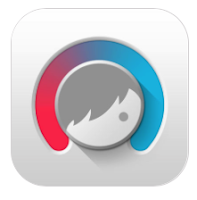 You can download this useful app free of cost on your iOS device.